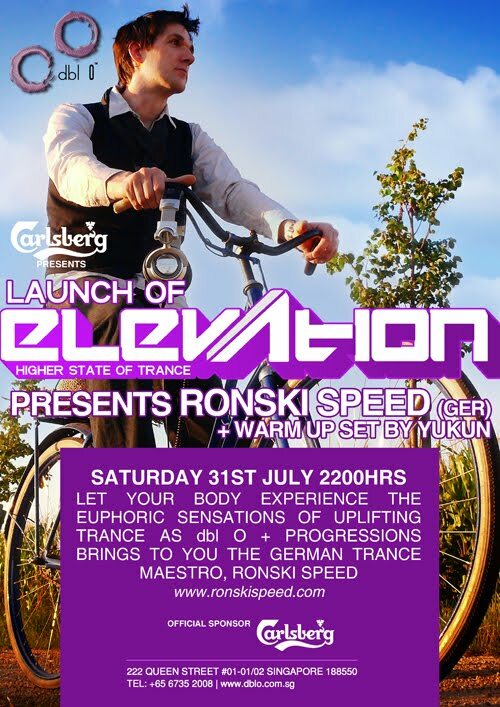 Join us for the launch of a brand new Trance night with one of the most in-demand DJ / producer... Ronski Speed. With a truckload of anthems under his belt like "The Space We Are" and the current vocal anthem "Lasting Light" with Emma Hewitt; Ronski has also remixed for the biggest names in the Trance world like Armin van Buuren, Above & Beyond, Lange and more! Ranked #69 in the 2009 Top 100 DJ Polls, Ronski Speed has toured more than 50 countries and has captured the hearts of thousands with his music. This July, he finally arrives at our shores! THE EXCLUSIVE GUESTLIST IS CLOSED! 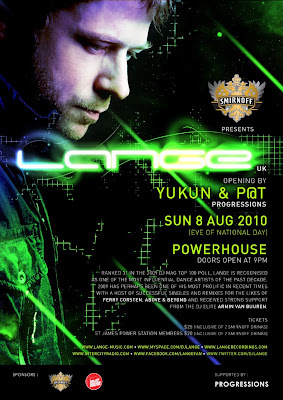 Ranked 31 in the world (2009 DJ Mag Top 100 Poll), Lange is recognised as one of the most influential dance artists of the past decade. A DJ who has remained at the forefront of the scene throughout his career and a producer that continues to push all boundaries. 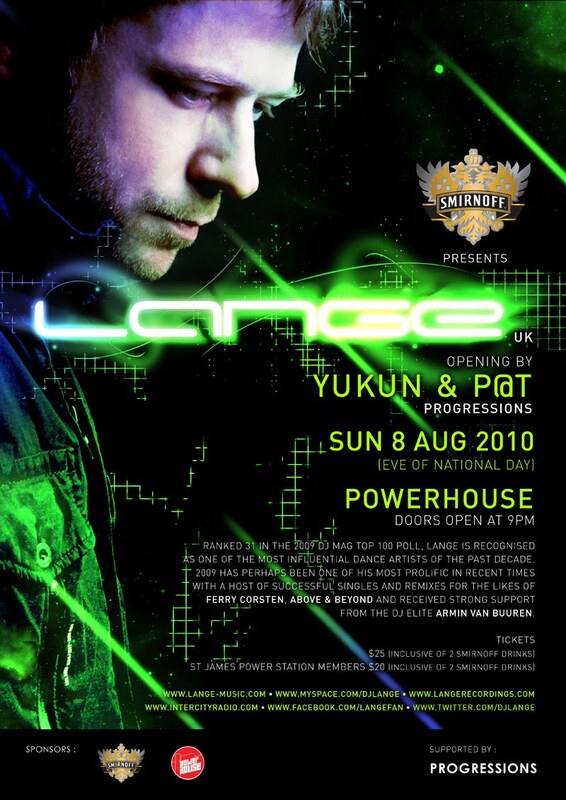 Lange is one name in trance that has continued to reinvent himself to take on the evolving dance scene and show any inspiring new comer how to be an industry leader through pure talent alone. After climbing the Top 100 DJ Poll for the 5th year in a row and the recent launch of his second artist album, he looks only set to dominate further. Catch the return of this legendary star at this exclusive event this National Day! ONLY to the members of the PROGRESSIONS Facebook group and mailing list. On a first come, first serve basis; you and a friend can be our LIMITED guestlist (waiver of cover). Please email [progressions.asia@gmail.com] your FULL NAME (as in your ID) as well as the FULL NAME of your friend by 6 August 2010. We will revert with confirmation.